Brace yourself for Reckoning, the final downloadable content pack for Call of Duty®: Advanced Warfare. 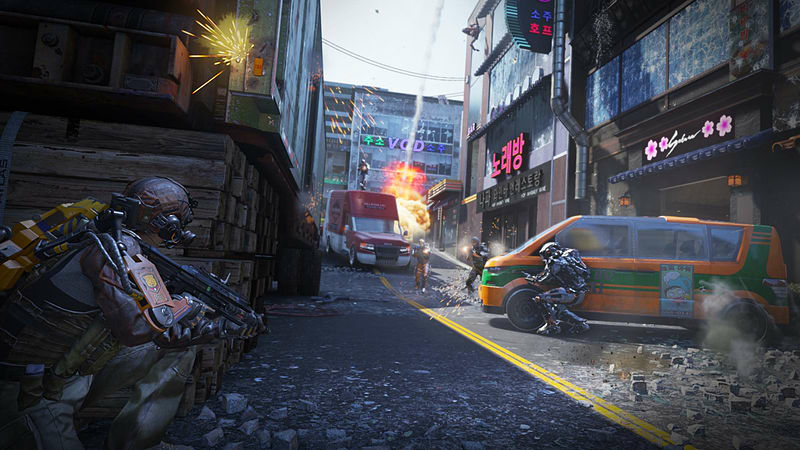 Take the battle across 4 new multiplayer maps as you prove yourself to be amongst the best in the world. Experience the final chapter of the Zombies storyline in Part 4: Descent. Challenge yourself in the Exo Grapple Playlist, which allows you to utlise the unique grappling ability from campaign mode. Brace yourself for Reckoning, the final downloadable content pack for Call of Duty®: Advanced Warfare. 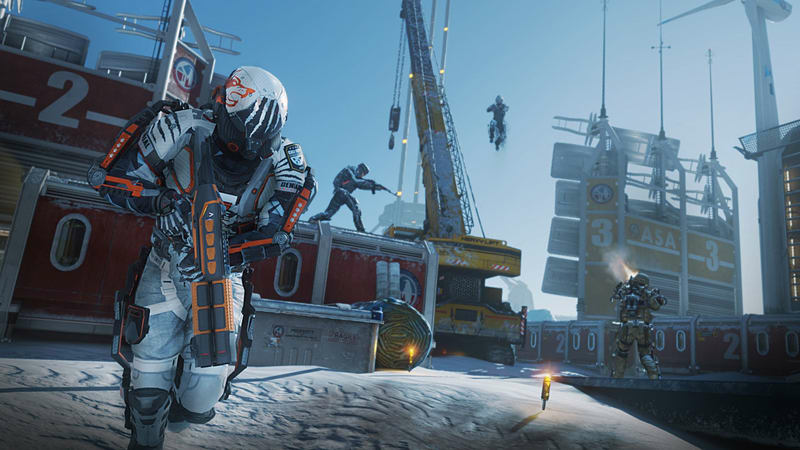 Grapple your way out of ship-fired missile strikes, dodge plasma lamp explosions and boost jump off crumbling glaciers in four all-new MP maps. The culmination of the Exo Zombies saga: Descent introduces a remote ocean Atlas survival facility, new “fused” zombie enemies, and the Trident Reflected Energy Weapon. Discover the true cause of the global pandemic and the terrible secret that Atlas has been hiding. Enjoy the grand view of downtown New Baghdad from this exotic compound, complete with fountains, gardens and decorative plasma lamps. The map’s multiple levels and long perimeter site-lines highlight medium to long-range combat and firing a shot at the lamps will send enemies flying in a burst of energy. Reconstruction is underway in Seoul, South Korea, congesting narrow corridors of this small to medium sized map with vehicles and equipment. Take position in war-scarred storefronts that provide plenty of cover over the streets or flank the enemy through close quarters interiors in the center of the map. 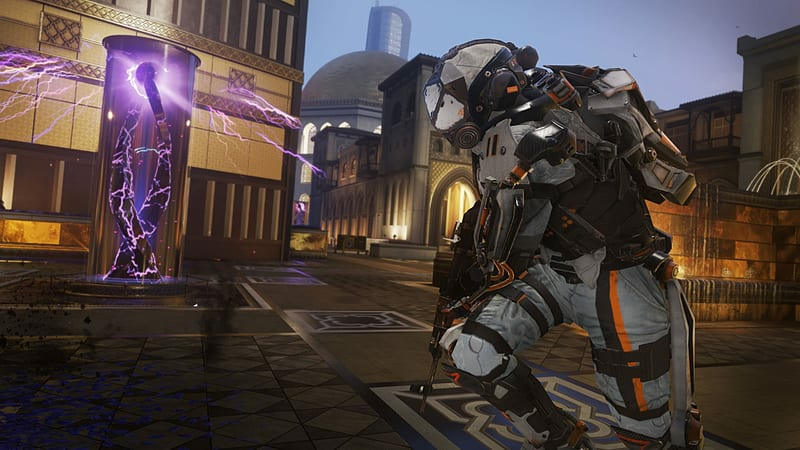 The Exo Grapple Playlist returns, delivering more carnage and more fast-paced MP combat than ever before. 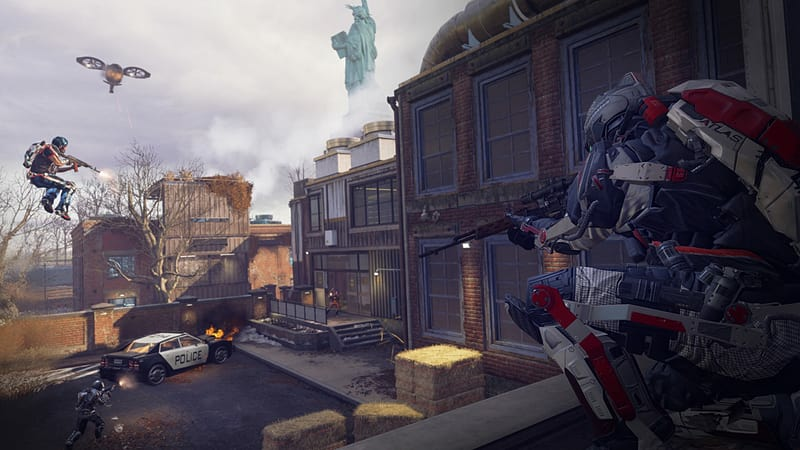 The unique grappling ability from campaign mode is available to use in all Reckoning DLC maps.